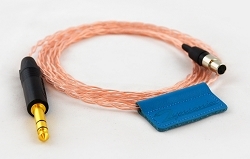 As the owner of Zynsonix Audio, I've been providing audiophile quality custom headphone cables to enthusiasts for years. Running a quick search on Google for Zynsonix will yield plenty of positive feedback. 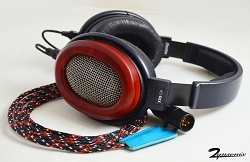 I have plenty of offerings here on my page, including balanced and single-ended headphone cables for popular headphone manufactures like AKG, Audeze, Beyerdynamic, Cardas, Focal, HiFiMan, Oppo, Sennheiser and more. 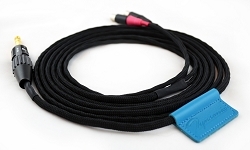 In addition, you'll also find balanced and standard audio interconnects, extension cables, adapters, speaker cables, and even a speaker amp to headphone converter box. If you don't see what you are looking for, it's likely I can make it (and probably already have), simply reach out via the contact page.